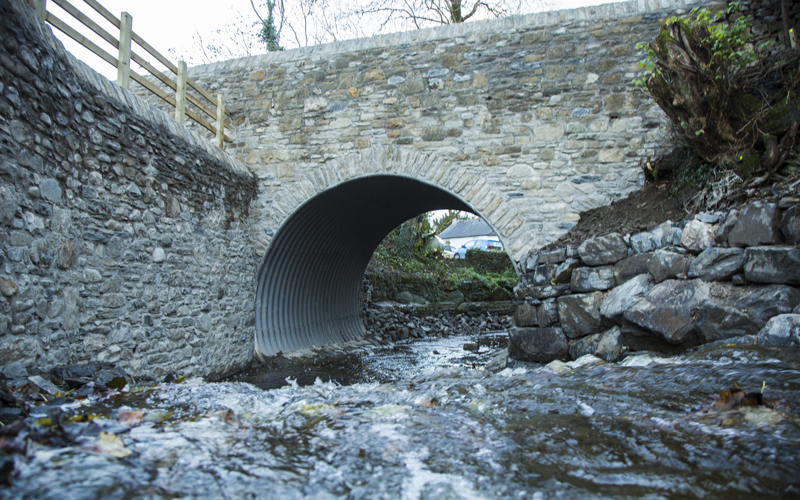 Our reconstruction of Hallbeck Bridge near Killington is now complete, following the devastating flood damage that occurred last winter. 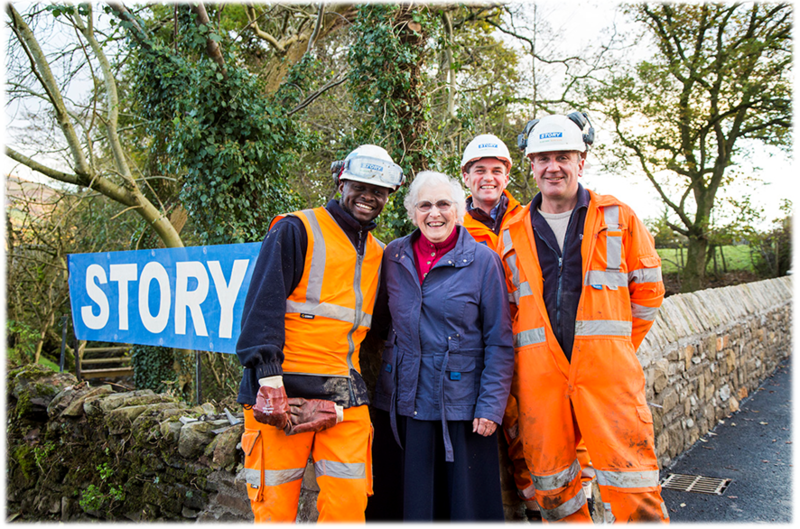 The bridge reopened to the public this week, to the delight of local residents such as Annie Waller (pictured below with Gus, Robin and Dougie) and her family, who have lived in the area for generations. 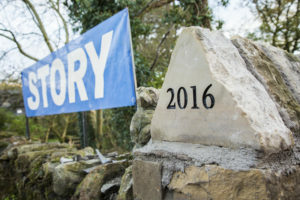 Her Grandson even carved the dated bridge stone!